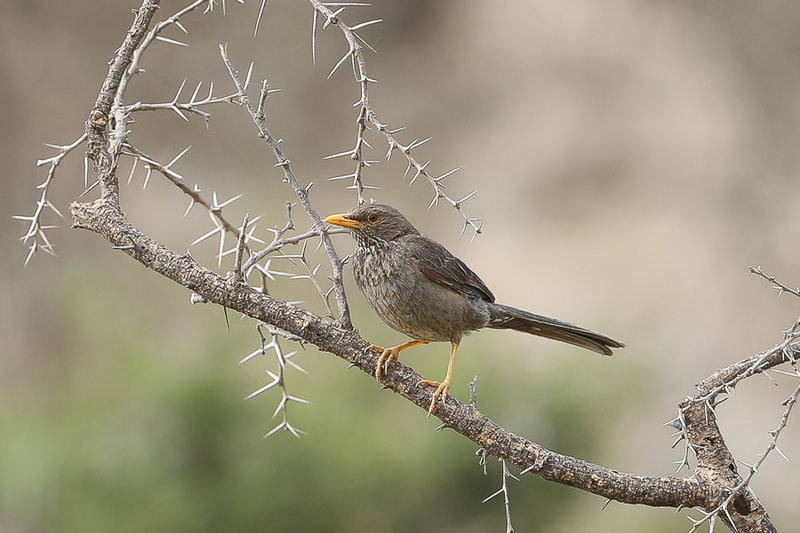 Whilst birding the Tanoumah area in summer 2016 I saw a good number of Yemen Thrushes Turdus menachensis including a pair of adults feeding a very young juvenile on the ground. 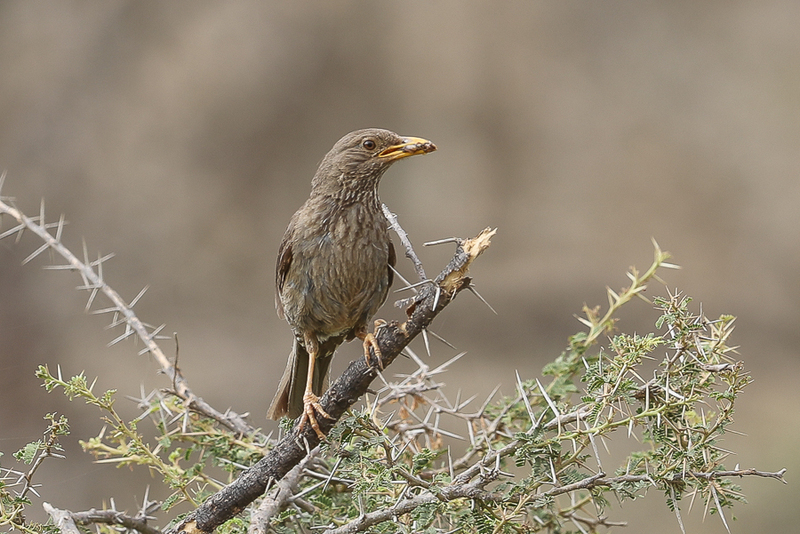 I am not certain if the bird could fly as it was very young but the parents were in close attendance and hopefully it made it to adulthood. 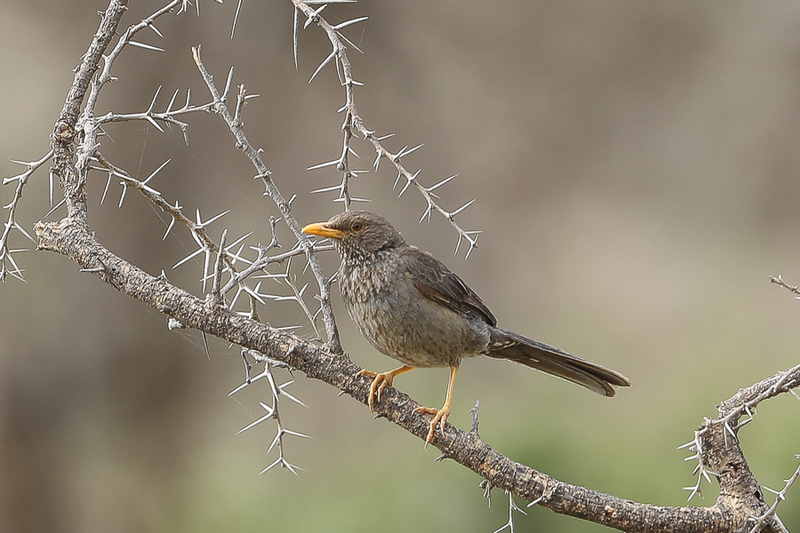 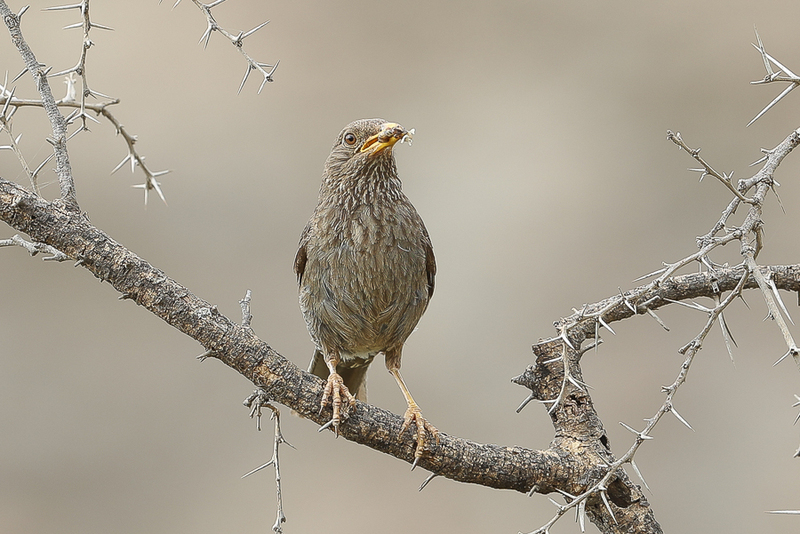 The Yemen Thrush is endemic to the southwest Arabia and in Saudi Arabia occurs in the highlands of the Asir mountains where it is a locally common breeding resident in Juniper, especially the Jebel Soudah area. 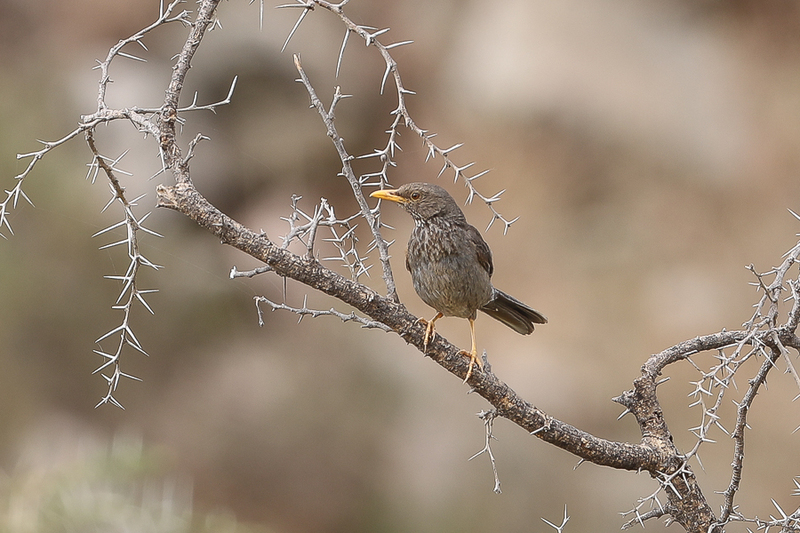 It is mainly seen between 2000 – 3000 metres.